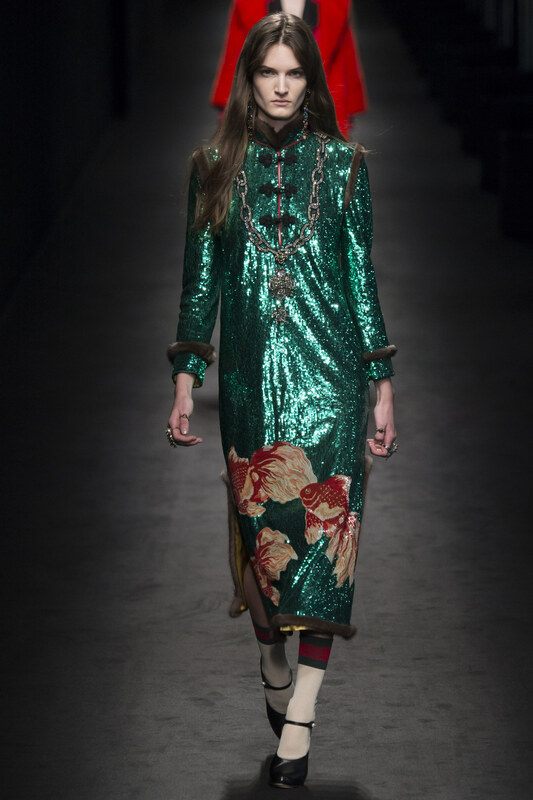 Through The Looking Glass, Another Trip Through Wonderland, GUCCI from Milan Fashion Week! 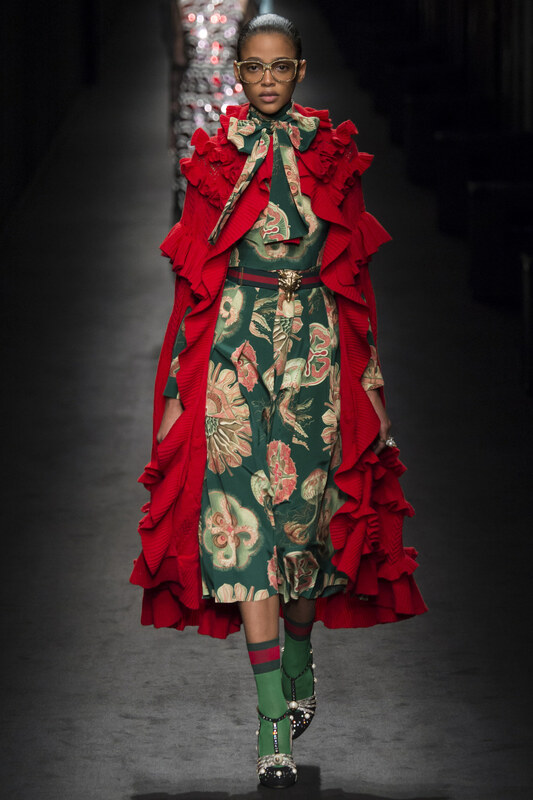 Well, there are MANY runway shows from New York and London Fashion Weeks to wax eloquent about, but this just in: GUCCI HAS HIT THE MILAN RUNWAYS!!!!! 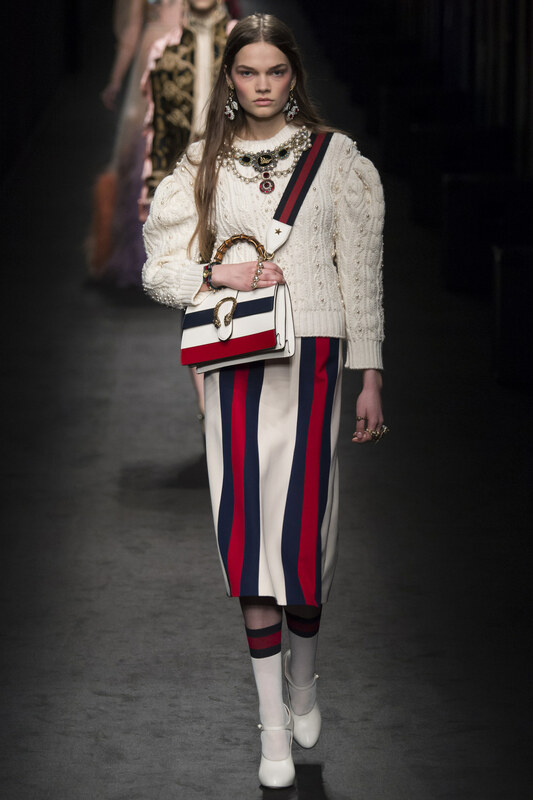 And once again, Alessandro Michele treats us to a whimsical and wondrous affair showcasing what I'm sure will be some of THE most covetable wearables of fall winter. Ok, not for those with a Spartan sensibility or want of a sense of humor. For lovers of unbridled exuberance manifested in a vast color palette, sequins aplenty, and a potpourri of flora and fauna rendered in varied silhouettes, THIS will be a direct shot to the brain's pleasure center. A glorious melange of disparate fabrications adds to the welcome singular eclecticism of this joyous assembly. 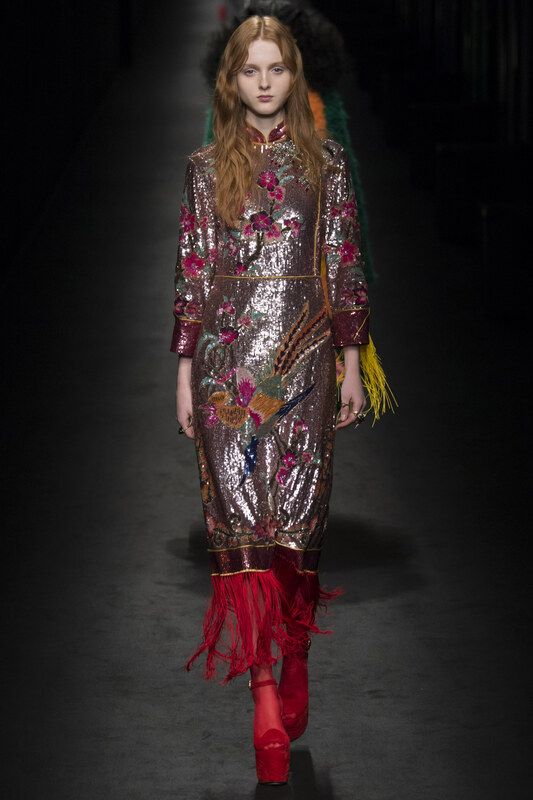 Included are everyday wearable togs and the usual complement of gleefully opulent frocks and gowns for runway affairs and such. 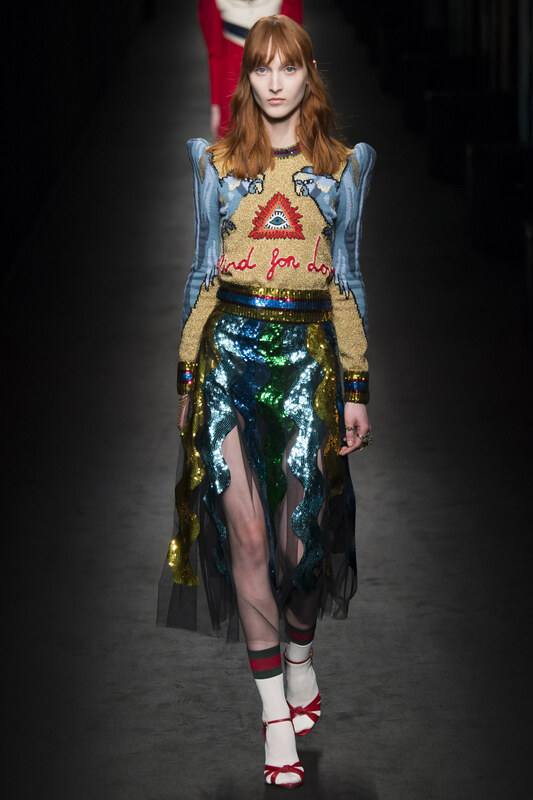 Much fashion terrain is covered, with the modern school girl aesthetic, rock 'n roll glam (Davie Bowie may he rest in peace is smiling from above), and CHINOISERIE in the house. 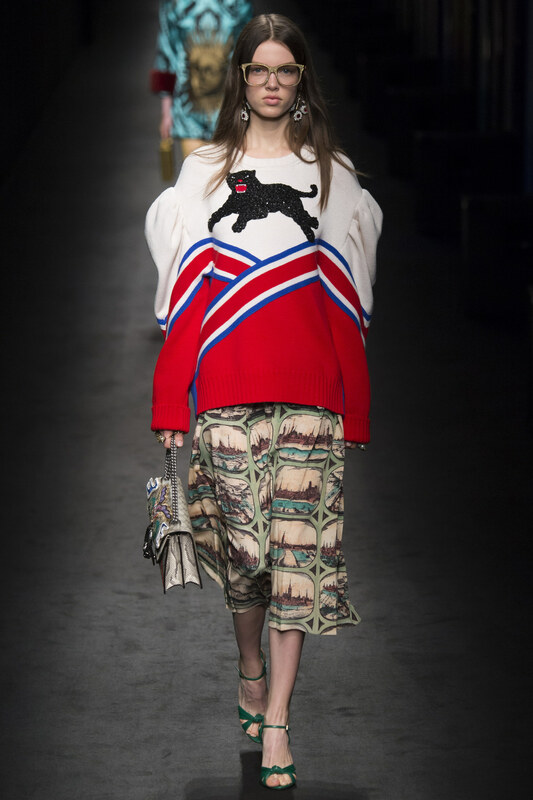 Nowhere else on the runways has true JOIE DE VIVRE been captured in such a fashion. 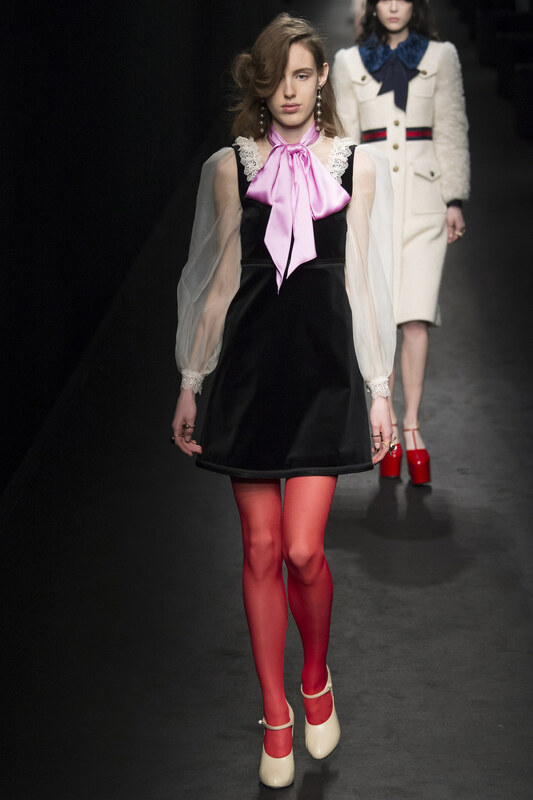 Here is just a smattering of the 70 looks! 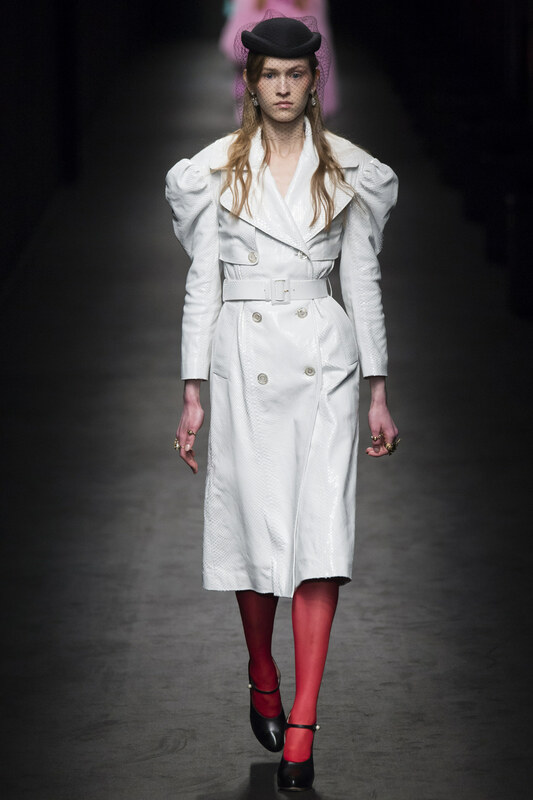 Ironically enough, the FIRST piece is white and a perpetual staple THE TRENCH. And yet, with the puffy sleeves, elevated beyond the expected. Whimsical CHINOISERIE. 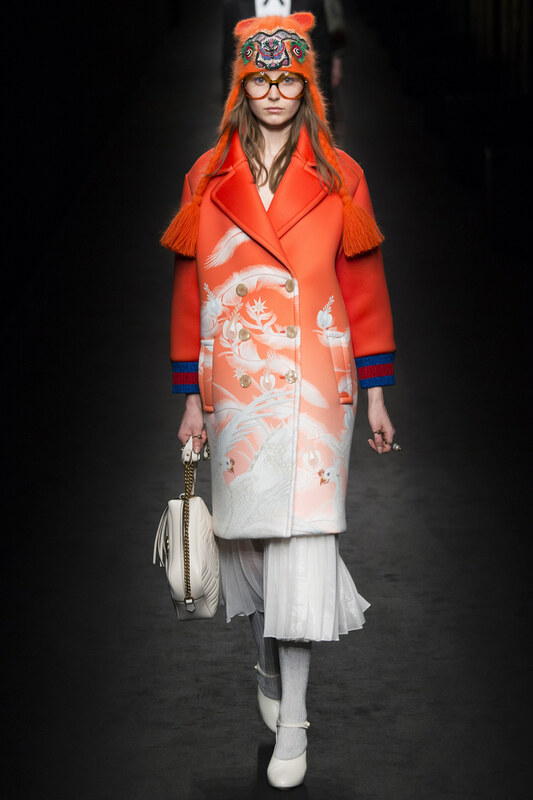 Mod, chic, and somehow regal. 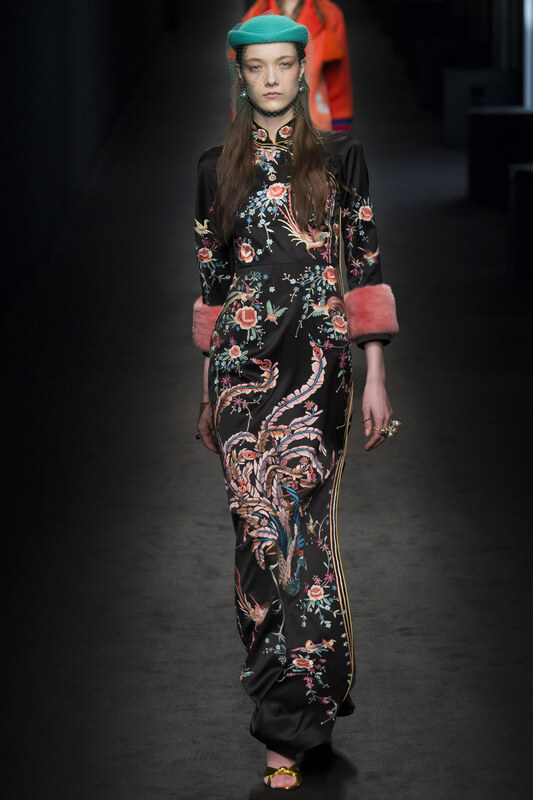 Chinoiserie commingled with opulent pizzaz and a hint of funk. 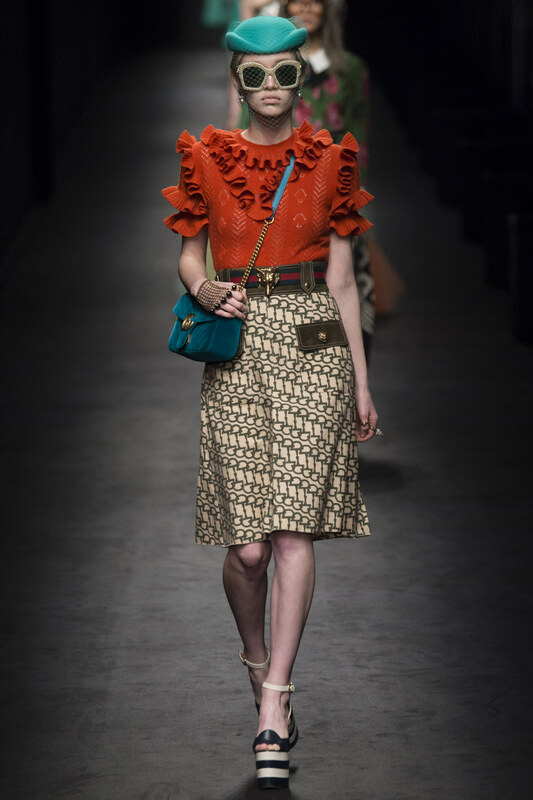 Never fear COLOR, never fear THE RUFFLE!!!!!!! 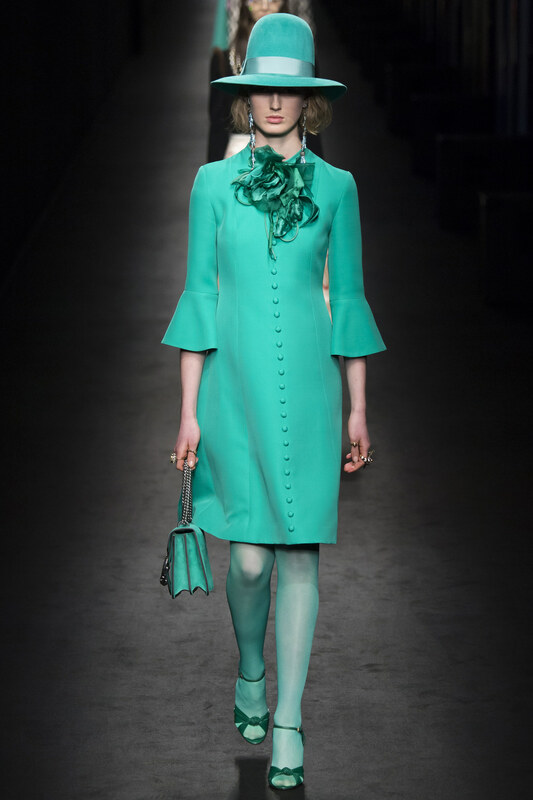 The easiest way to add visual interest to an ensemble? A vibrant color (yellow is IN by the way) OR a well placed ruffle. Versions of CO-ED chic. The dress? 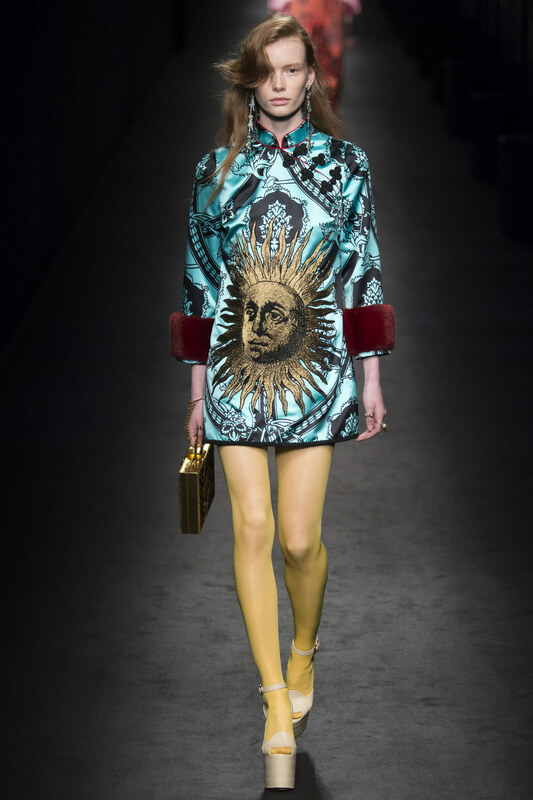 Could totally work as a TUNIC. I say throw ANY dress over skinny jeans. JACQUARD, the quickest way to add glamour and low level opulence to your wardrobe (no embellishments or adjunct jewelry necessary). 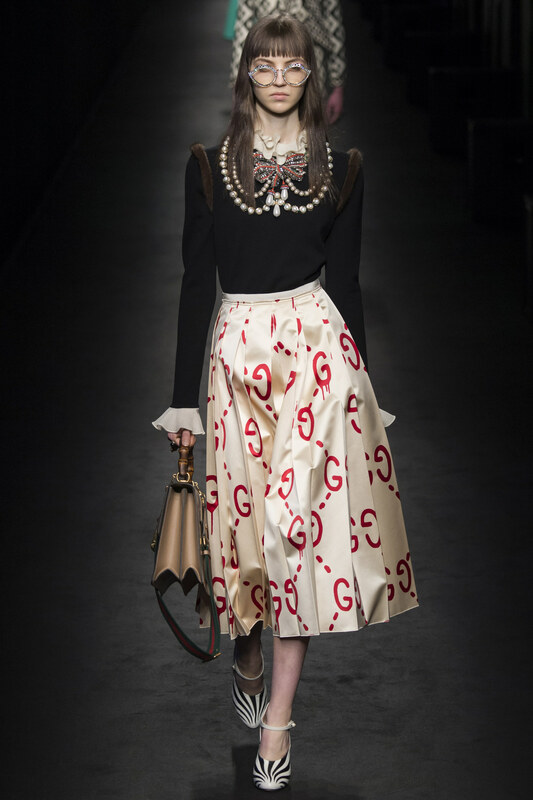 The silhouette really doesn't matter, although a unique one as above will foist one into fashion forward territory. 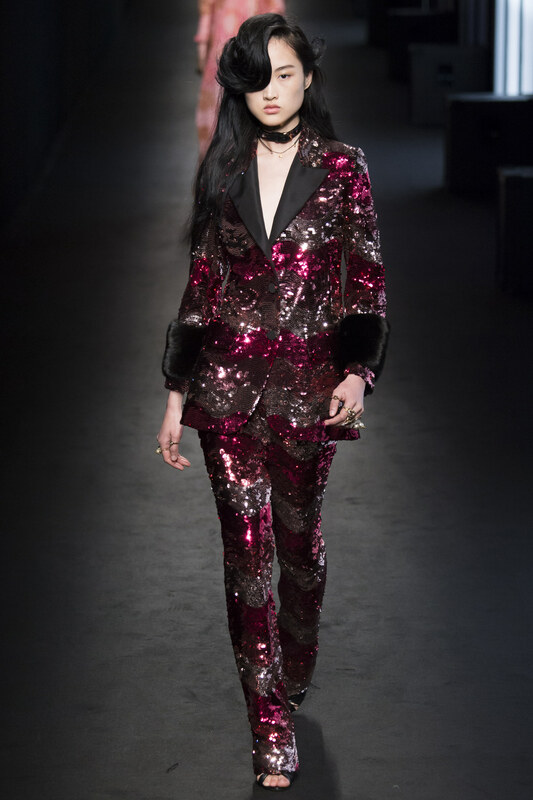 Michele wanders into Tom Ford and Hedi Slimane (Saint Laurent) territory with full on jazz hands ROCK 'N ROLL glam. 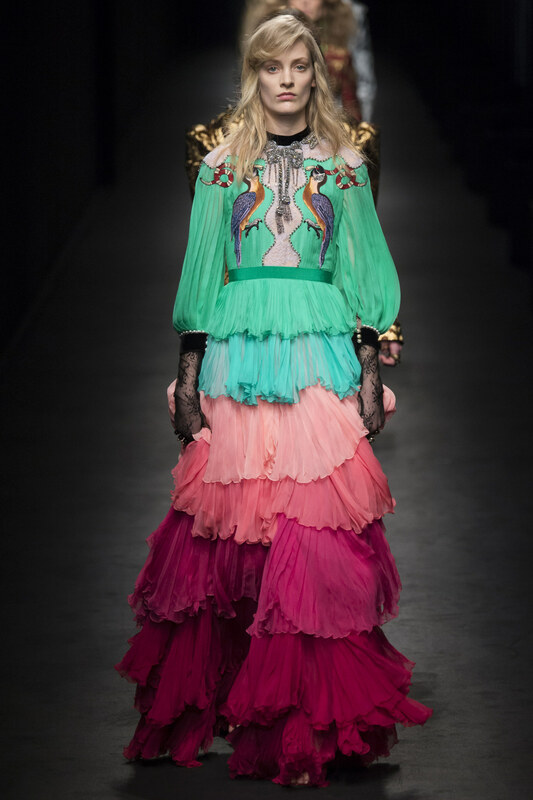 PINK always permeates the GUCCI runways.....love it. 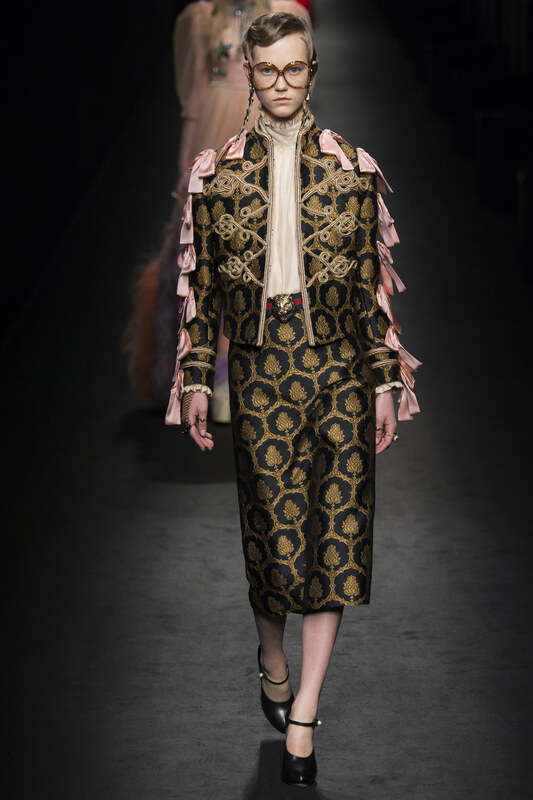 Wearable whimsy with Victoriana sleeves. 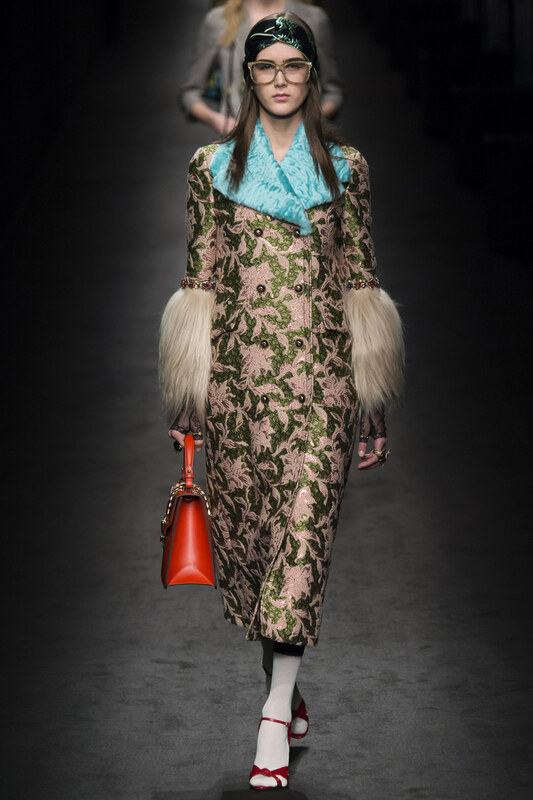 Alessandro Michele does Laura Ashley....heh. 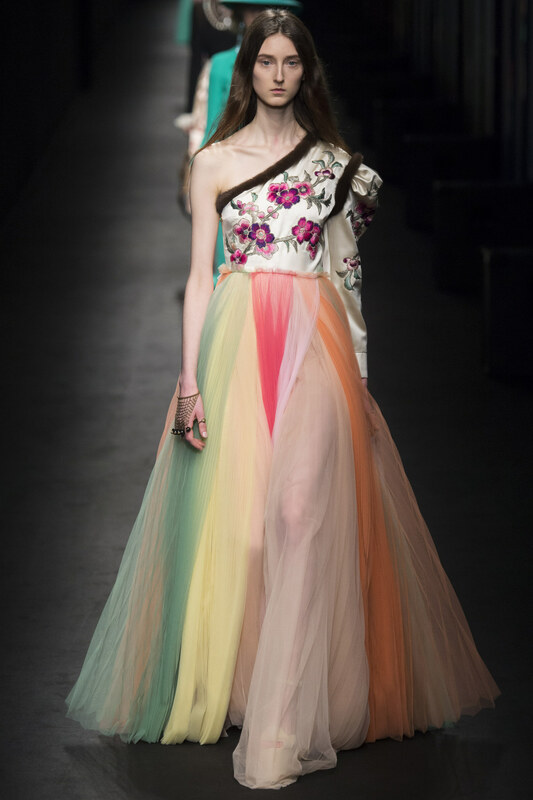 A gown for every occasion. And who amongst us doesn't love a BIG CAT?